FROST LIBRARY A-LEVEL MEN’S BATHROOM, Amherst, Ma. 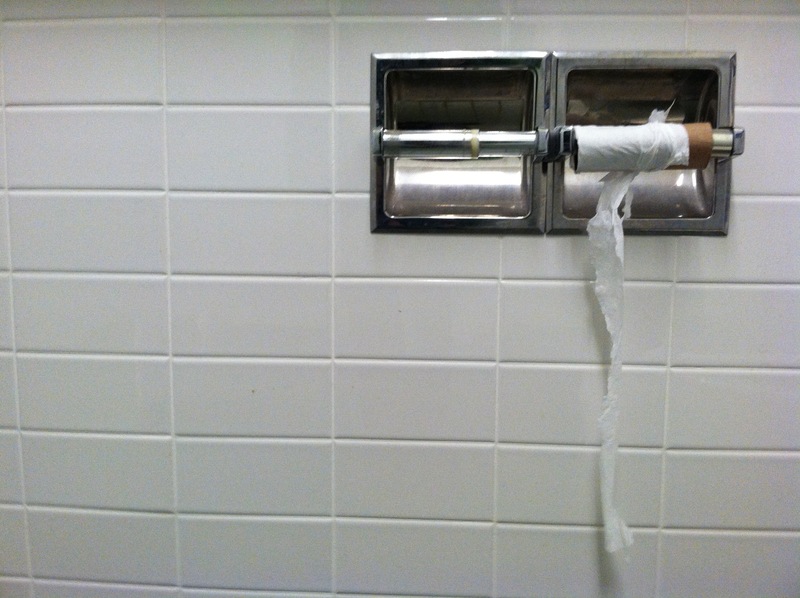 – The toilet paper shortage that shook the Amherst College community Tuesday continued into Wednesday, with no apparent end in sight. Reports that the shortage had spread to restaurants in nearby Amherst Center, where hundreds of students have been seen making trips for the sole purpose of relieving themselves, began surfacing early Wednesday afternoon. Students are advised to remain indoors, and to consume as little coffee as possible until a solution is found.